If you would have asked me years ago if I would have a gallery wall in my home, well, I would have probably scoffed. I can be creative but, that only goes so far. I had tried many times to even come up with a concept to showcase the many memories that as a family, have created together. But, to no avail. My biggest concern is how do I arrange them? What sizes should I pick? Can I get them leveled perfectly? Should I choose black and white or colored pictures? 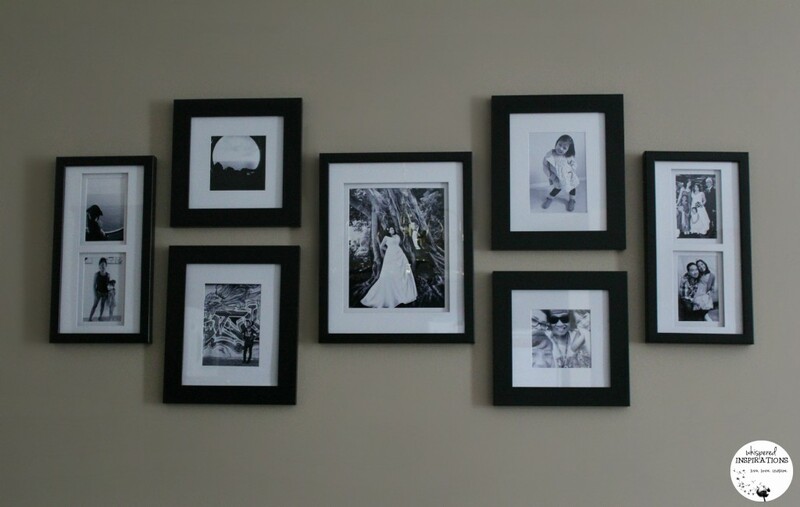 Which pictures should I choose and we all know that that is just as hard as hanging them. What type of frames, square, oval, baroque–oh the questions! Sometimes I was over it and I hadn’t even started. Gather everything you need and start creating your gorgeous wall gallery. With Leigh-Ann’s tips and just a few things, you will be ready to go! If you have the same worries that I do, well, worry no further. Check out this video, it shows you how you can make your very own wall art gallery with the CANON PIXMA Pro printer, in 10 easy steps. With a PIXMA PRO printer, you will find that printing and hanging your photographs are a breeze. Take a look at some of these great tips from design expert Leigh-Ann Perrault. Watch as Leigh-Ann helps create a very special anniversary surprise for a very happy wife. After much planning, I went with a very simple and minimalist look for my wall art gallery. Black and white for a more sophisticated look, black frames with white inner borders made this look classic. Of course, the pictures and memories captured are what makes it come alive. You can create a similar look by using the 10 Easy Steps in the video! 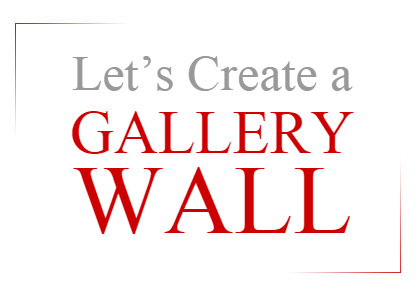 Have you ever tried your hand at making a wall art gallery? I NEED to create a gallery wall in our home; I've been talking about it for about a year! These suggestions are helpful. Love gallery walls! I already have one designed in my mind but waiting til we move to our new house in Jan! Good luck! Now you have this video to help you if you need it! I think that is always an issue, I tried to do mine as best as I could! what a great idea – love how you the photos at home anytime! I love the idea of a gallery wall. I have a ton of pictures I need to put in frames. There are so many amazing moments to showcase, right? My bare walls sure could use a a gallery wall. This would really get to personalized look in my living room. It spruces things up, that is for sure. It is so nice to see too. It does bring warmth to your home. I love this! Now that we have our own home, I really want to get more photos, so I can hang them similar to this! Thanks for the suggestions! My pleasure, hope you can make your house a home. Thanks so much for the DIY video! I am actually in the market for a new printer and your gorgeous gallery wall makes the Canon very tempting. How adorable is this! I need to try this! I have one of these in my living room and I get so many compliments. I have the word family above mine as well and it just brings it all together. I should add some text!